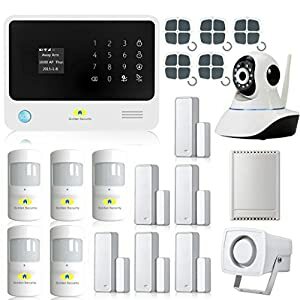 6 Best Wireless Alarm System Reviews for Home - List in 2019! Today there are a lot of outdoor security systems. You may be offered an expensive smart home solution as well as a cheaper DIY kit. But let me show you the best investment for your money. When talking about family and home, there is nothing more important. And when you are going to purchase a security arrangement and want to be confident about whether your house is safe enough, the money is not the first thing you should be thinking about. However, I have managed to find the best items for the most affordable price. So, let’s check them out! However, I have managed to find the best items for the most affordable price. So, let’s check them out! COOWOO Home Security System is made for monitoring home or office from anywhere in the world where Internet works. It is integrated with all sensors, hidden within entry areas and other important places, so you can receive alerts every time an unauthorized intrusion happens. The manufacturer provided all the necessary equipment for DIY installation. You wouldn’t need any assistance, just a few hours. Read the manual, set up the sensors, make a configuration, and be ready to add new components and add-ons. it is possible to expand the system any time you want. Installation is absolutely tool-free and includes quite simple plug and play steps. It can be synchronized with Amazon Alexa app, installed on iOS or Android device. So you can easily check the safety of your house or apartments and switch on/off any of sensors (or even all of them) via your smartphone or tablet. And it doesn’t matter where are you located at that moment. Control can be done either by tapping or by voice. All sensors are connected to one smart Wi-Fi hub, so you can get all the information in one user-friendly interface. 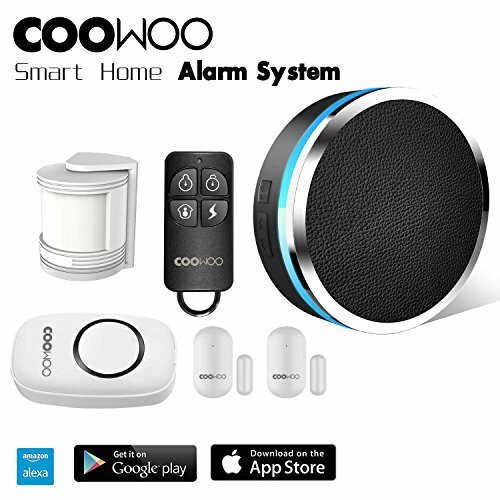 COOWOO Home Security System provides 3 in 1 complex protection: intrusion prevention, motion detection and 24/7 monitoring. With this package you get 2 sets of wireless contact sensors, which are attached on doors, windows, cabinets and other important areas. Any attempt to intrude into your house will trigger an alert coming to your mobile device. Another set is called wireless PIR motion sensor and used to detect any movement within six meters (think about it if you have a pet). And the lats one is 110 degree field of view, which is able to cover entire hall or room and to send you clear live video even at night. The main element of this system is the Wi-Fi hub responsible for the integration with all sensors, triggering alerts and making siren alarm loud (about 80db) in order to scare and deter burglars. It can show you what door or window is opened and where a motion is detected so you will get explicit information about what is happening and how to react. The manufacturer provided backup battery support so the hub keeps working even if lose power – you don’t need to worry about it. 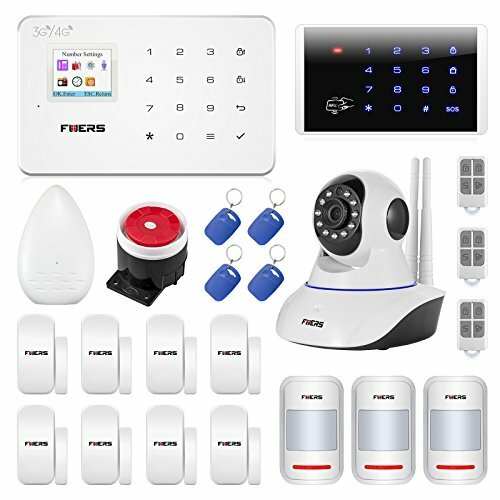 To install this system you should have some skills and tools so it would be better to call some servicemen, who will help you to set up Thustar Home Security and to meet all the requirements, mentioned in instructions. After wired (up to 8) and wireless (up to 99) zones are set up and alarm panel attached to a wall, you will need to put-in a GSM SIM card and choose a preset phone number that will receive alerts or calls. You can also create groups that will get notifications as well. You would be able to create 6 groups, which get preset alarm phone numbers. You can include relatives and neighbors. If the alarm occurs, the host will automatically dial those numbers. Alternatively, there is an option that allows you to press the emergency button remotely using your keyboard or phone, so that siren begins to sound even if triggering has not worked yet. Any break-in to the house will be detected by door and window contacts. Any suspicious activity around the building will be spotted by passive motion sensors. Any changes will be monitored by 110-degree wide detection angle high sensitive sensors working within 12m distance. If any intrusion is done, the siren triggers loud alarm up to 140dB to scare burglars and to inform neighbors. The system will also send SMS with detailed information and call the preset number. The alarm panel works on built-in AAA Ni-Hi rechargeable battery that can last about 8 hours after the electricity is off. The alarm system supports GSM 2G module and 850/900/1800/1900MH frequency, that is applied all over the world – it means Thustar can work internationally and be controlled from different countries. G90B00 model can be controlled via special controller that supports the wireless network or via GSM. You can also install an app that was uploaded to AppStore and Play Market by Golden Security. As for the system itself, according to the manufacturer’s description, it can be set up by the customer. However, you will have to spend some hours on each detector responsible for a separate zone. What is really amazing in this system is an ability to set independent zones and arm/disarm each of them. For example, when being on vacation, you decide to activate some hidden sensors so that your suspicious gardener can’t steal valuables. Or to disarm some of them, when occasionally your cousin arrives in your absence. You can also give your names to each zone. Whole Golden Security can be controlled either by one person or by several users. In case any potential intrusion or security breach happens, auto dialer calls to up to six authorized users. Additionally, loud (110dB) alarm alerts are triggered, so that the burglars will scarex and try to escape while your close neighbors l hear this and call the police. Motion detectors and 360 degree IP camera will track all the actions inside and near your house. The built-in wireless transmitter, which is able to control four wired relay outputs and wired sound&strobe siren, is also responsible for sending prompt notifications when AC power is lost/recovered or detectors are experiencing low voltage. Although Fuers G183 comes pre-programmed and with paired detectors, it would be rather difficult to set up a system on your own. 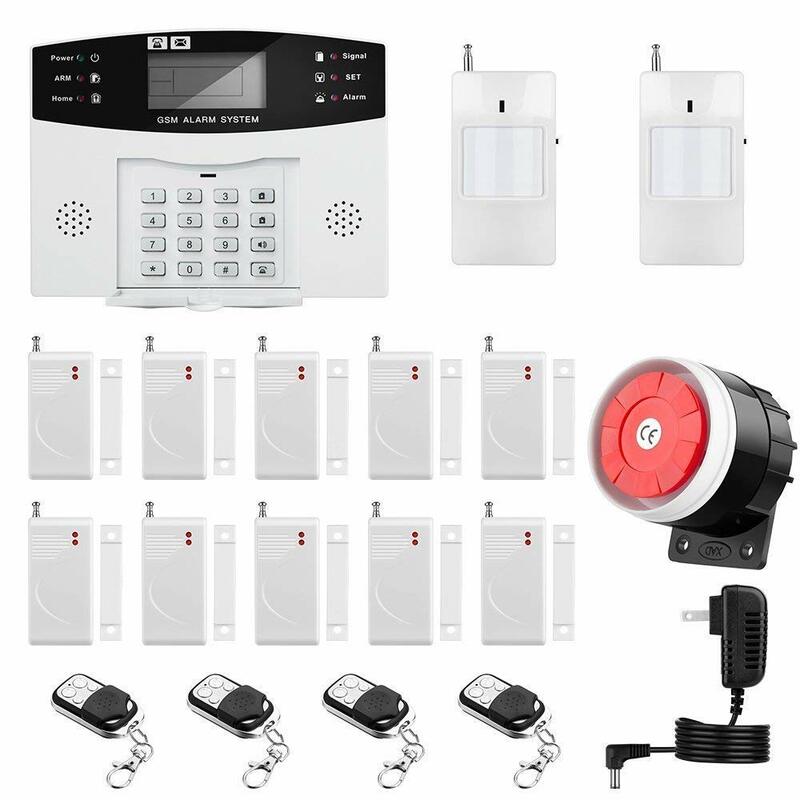 Control panel, remote controllers, motion sensors, wireless door alarm, leakage detectors, camera and wired siren – the set up of all this equipment requires a lot of time and, preferably, some skills. You can leave yourself configuration and app settings – this would be quite enough. Fuers Alarm can be controlled either through the alarm center or remotely with the help of tablet/smartphone. You are allowed to add 6 users to alert list and to set zone types. Some of them may be guest-friendly like a Welcome one. Thus, the sensor in a Welcome zone will say “Hello” or “Dingdong” when the door is being opened. Fuers G183 Security Alarm System provides sensitive door/window contacts, which are able to detect any damage or intrusion attempts. It is also supplied with a passive motion detector for tracking suspicious movements and indoor activities. Another feature, that could be called extraordinary is water leakage alarm for preventing flooding when you are not at home. 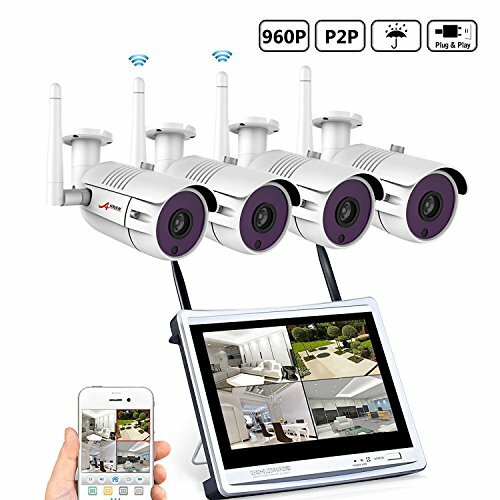 And the last thing, that should be definitely mentioned, is Wireless IP Camera (HD 1.0MP 720P), which provides high-quality real-time video (available on iOS/Android mobile device). Self-defense is one more feature, that makes Fuers Alarm worth attention. When intruders try to destroy alarm panel or to take it off, they should be ready for a quite loud siren. And, surely, you will be called and informed about such a stupid attempt. The system also includes low-voltage indication. Moreover, even if power supply fails, built-in rechargeable high-capacity battery will support all the functionality. With this system you can choose zone types (8 are available) and add users to a group that will receive alerts and be able to arm/disarm an alarm. We suggest asking some assistance during installation. Because of 2 wired zones and programmable panel, it is too difficult to set up all the components on your own. KERUI allows work with 2 wired and up to 120 wireless zones, so if your house or office is big, that means quite a big job. KERUI alarm system can be used even if your Internet connection is off. With the help of GSM SIM card it is able to send calls and alert messages to your phone. You can also change some settings via your iOS or Android device. App interface provides information about each zone, so you can monitor all of them or just focus on a separate one. The system comes with door and window contacts (working on batteries), which detect forceful break-ins. Passive motion sensors are provided as well – they catch any suspicious movements. If a potential intruder is detected, a loud siren is turned on. The alarm panel has a built-in rechargeable battery that can last about 8 hours, so even if the intruders managed to switch the electricity off, an alarm system will continue to work. In addition, it will send you an alert to make sure are you are aware of the circumstances. If you hadn’t any experience of security cameras set up before, I would recommend you request an expert’s assistance. Actually, the wireless system doesn’t mean you will not use any cables. They should be connected to power adapters (both for cameras and DVR/ NVR). However, though it seems to be an easy set up in the manual, it can take more time than expected. Another factor is that this is hard drive, which you need to install in order to record and playback video. 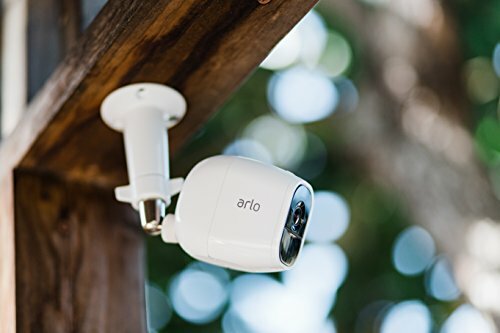 ANRAN 4CH Security Camera System allows you to view what happens in your house (garage, garden, backyard) anytime and anywhere. Although it comes with a monitor, you may also download and launch free app, and to configure some settings within interface. The control can be provided via tablet or smartphone (iOS/Android). Live view is good, but what about alerts, triggered after some suspicious motion detected? Oh yes, this feature is implemented here as well. Four cameras with 1080P high resolution, clear night vision and motion sensors provide perfect control and great defense. All cameras are built in 36 IR LEDs – that means they are solid and weatherproof (constructed with metal IP66 housing). You can place them outside and be confident when it is raining, snowing or sleeting. And what is also very important, ANRAN outdoor security system provides night vision and clear image up to 65ft. As you can see, there are a lot of specific details regarding each item, which determine how and where you can use your security solution. 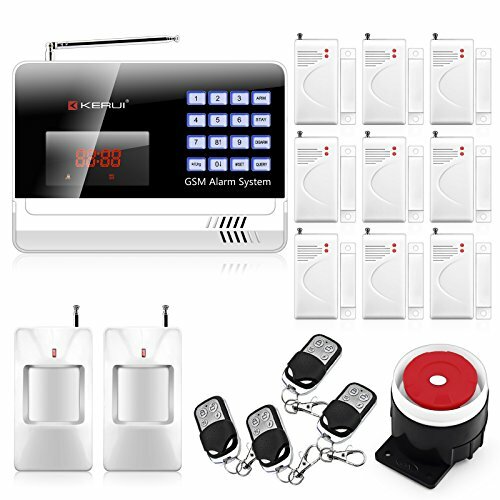 I tried to point out the most important features, advantages and disadvantages to make your choice of the best wireless alarm system as easy as can be. If you care that nobody knows about the way you control your home, please read my previous review of best hidden cameras.